Today we’re delighted to launch our latest project into the world. 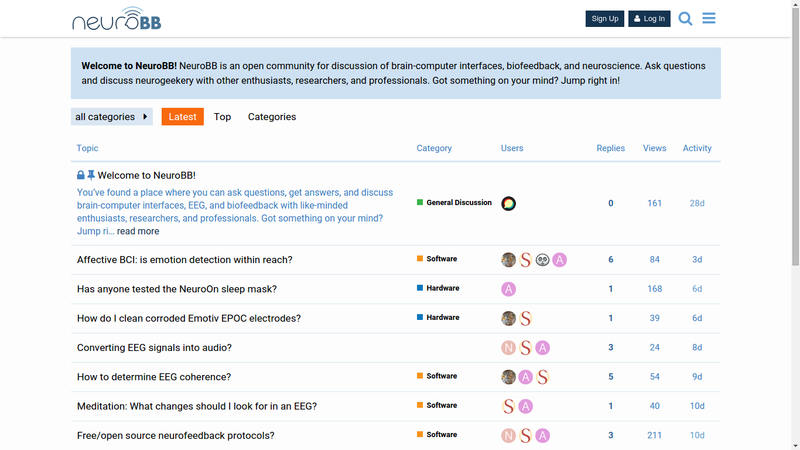 After months of development, we present NeuroBB — The EEG, BCI, and Neurofeedback Discussion Forum. Brain-computer interfaces have evolved to the point where (mostly) normal people can use them. Affordable, DIY-friendly EEG systems like the OpenBCI and OpenEEG have opened up the world of neuroscience, BCI, and neurofeedback to a growing community of enthusiasts. At the same time, inexpensive consumer devices by Emotiv, NeuroSky, and Muse are bringing biopotential measurement to the masses, and projects like eeg64 and Open Ephys are pushing open-source tools into the arena of professional research. Until now, this burgeoning enthusiast community has had no brand-independent forum for discussion. Company forums have essential information and helpful, experienced members. But, with discussions scattered across dozens of product-specific forums, it's harder than it should be for questions and answers, amateurs and professionals, and students and mentors to find each other and share ideas. NeuroBB is a brand-neutral forum for discussing EEG, BCI, and neurofeedback. It's a place where you can ask and answer questions, discuss the field, and exchange ideas with a helpful community of fellow neuro-enthusiasts and researchers. We’re starting with an open format of just a few categories, and expect to organize the forum’s content further as we discover where the discussions lead and what topics the community is most interested in. NeuroBB.com Screenshot. Doesn’t that look enticing?! 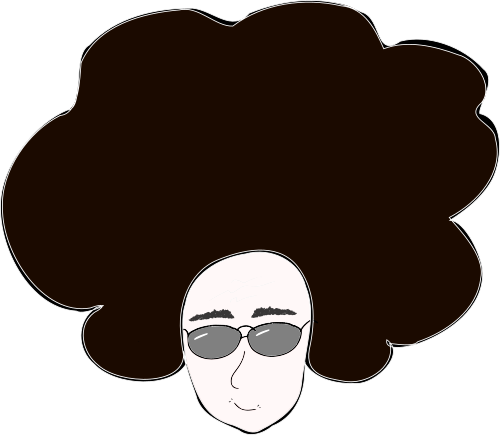 We’ve been around the block when it comes to open-source discussion forum software. We’ve tried PhpBB, TikiWiki, and a variety of Wordpress plugins. Before launching NeuroBB, we spent numerous hours breaking and repairing NodeBB, a promising but still-unreliable NodeJS forum app. In the end we settled on Discourse. We’ve been happy ever since. Discourse is built by the people behind StackExchange, who know a thing or two about discussion software and how to build online communities. Aside from its resource-piggy RoR backend, it has everything going for it: an Ajax interface that’s lighting-fast and intuitive, post threading, sophisticated community moderation, topic summaries, @mentions, spam protection that actually works, and lots more. Create a free account (or sign in with Google, GitHub, or Twitter) and start learning, sharing, and connecting with neuro-savvy folks. Compare hardware and software options, talk about your setup, and get advice from other people in the field. Got a question that needs answering? Jump right in!